and interface with the industry stake holders including the regulator. • To act as the central coordinating body for the association. • To attend meetings and speak on behalf of the association. • To supervise and work with the secretariat to ensure smooth operation of the association. • To be on the lookout for any issues going on in the sector and alert the EC for action. • To carry forward the objectives of the association. 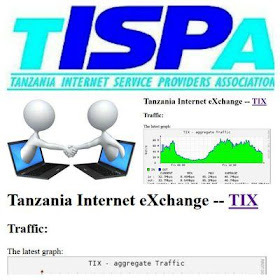 • To ensure the TISPA name is wide-spread and to build it credibility as a representative and all-inclusive association. • To ensure that TISPA remains a strong lobbying force for the association. • To regularly update and report to the Executive Committee (EC) and the AGM. • To maintain the PR function, including newsletters and active website as well as mailing list. funded by donor countries and the Government of Tanzania. the general society in order to participate in internet access. • To cooperate and liaise with organizations having similar objectives locally, regionally and internationally. • To support, encourage, foster, promote by expertise and facilitate education and training on internet access. move projects and tasks forward. • Ensure TIX is managed, maintained, monitored and running at all times. Any resources required are available at all times. • To report to the Executive Committee and the secretariat. • Other duties and responsibilities shall be assigned on time to time by office bearers.